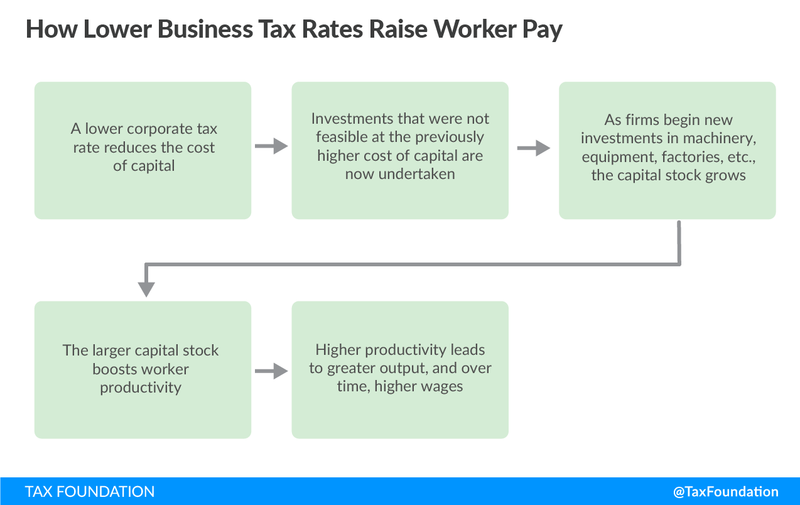 Individual taxes, interest rates, and regulations also have an impact on revenues, but the most obvious impact on investment and innovation includes the big three, federal and state corporate taxes and investment taxes. 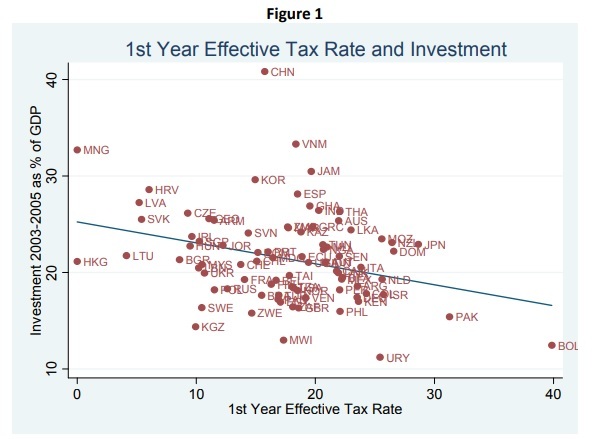 Of those three, investment taxes have the most impact on investment valuation because there is a straight math calculation involved. A 20% tax means the stock has a value of 80% of the untaxed value. A 40% rate would have a 60% value. So if liberals want a 40% tax, stock values would drop and investment taxes would disappear, since the tax is on stock appreciation. 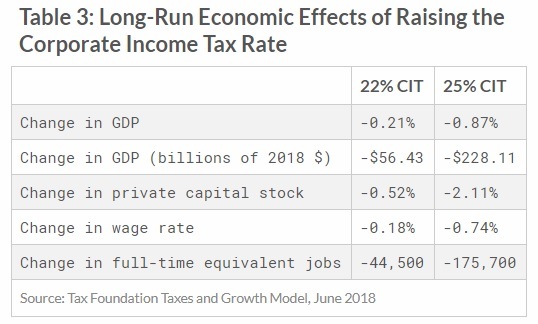 Look at what happens, if the tax goes to zero. Stock prices would go up 25% (100%/80% = 125%). That’s about $6.0T, or 5000 points on the Dow. If the day before the zero rate you tax ALL appreciation, you would get at least $1.0 (based on previous appreciation plus appreciation of the 50% of stock that’s not tax sheltered accounts). Whoa! A Tax on the rich!! (They essentially paid a ransom to release the value of their stock holdings.) However, the class warfare/inequality people wouldn’t like it because the stock value appreciation far more than compensate and it’s a “painless tax”. Dan might not like it, because of the double taxation argument, but look at the final result. 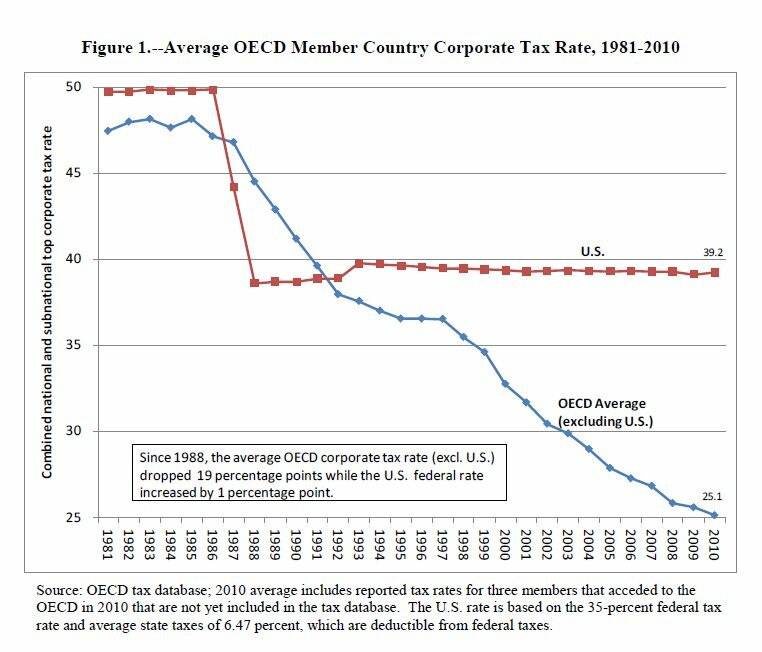 That $1.0T (assuming you don’t add all the non-Roth stock to the tax base) will give you 4-5 years of normal investment taxes up front. 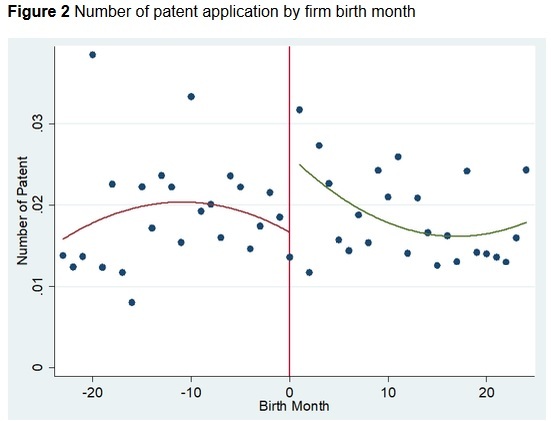 As far as non-growth companies, no effect. But innovative companies looking for capital? They raise 25% more money, for the same price. And, in 4-5 years, profits should be enough over previous levels to easily pay for the lost revenues. So raise the investment tax and revenues drop, eliminate the tax and get a windfall. Choose. If an increase in the tax rate is put before the members the markets will stall, if it looks like it is going to pass its time to short the market. Oddly enough, the government workers, union members and the retired will lose half of the equity in their pensions. The very thing they desire will destroy their future. It has become quite evident that most Democrats do not understand basic economics. They lack the fundamental knowledge that would allow them to understand your real world examples. It’s sad.